A rigorous five-hour application process allows us to successfully hire exceptional people. A 70+ hour training seminar gives our staff the additional skills they need to lead this unique and exciting program. All of our Quest Leaders are skilled teachers, storytellers, mediators, and actors. We choose leaders who can support an environment of physical and emotional safety, while cultivating a relaxed and joyful learning experience. 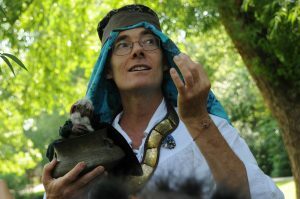 Mark has been leading storytelling, acting, dance, outdoor games, nature activities, swordmanship and interactive quests with children and teens since 1981. As a child and teen, Mark attended creative arts camps with his mother and grandmother. Mark began leadership training with the Boy Scouts and as an Eagle Scout. In the eighties he spent eight full summers teaching at summer camps. He has directed full-length summer camps every year since 1990, and has led Adventure Quest classes in public and private schools since the beginning of 1995. 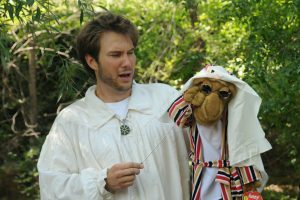 Extensive experience in psychology, improvisational theater and storytelling, hand-in-hand with a passion to discover ways to engage and empower children, has given birth to the unique and effective teaching tool of Adventure Quest. Mark has brought together a fine staff of teachers with whom he has co-created the high-quality innovative company that Renaissance Adventures is today. Aaron has a passion for experiential education and keeping one’s imagination and playfulness throughout this journey called life. He began working as a Quest Leader in the summer of 2000, and has since weaseled his way into lordship. As a writer by trade and spirit, he has written many of the quests, helped create the game rules, wrote the Worldbook, and continues to share his love of stories with others through many different venues. Aaron graduated the University of Colorado, Boulder with a Bachelor of Arts in Philosophy, believes that learning is a life-long pursuit. As a Christian and free-thinker, he hopes that by allowing children to find their own unique empowerment and inspiration, perhaps each generation will outshine the last. Pam began working in the camping industry at a small overnight horseback riding camp in Vermont and developed a deep appreciation for the magic of the camp experience for children. 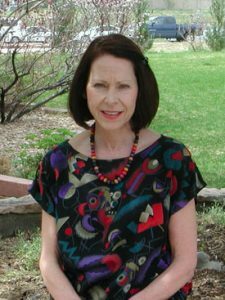 She moved to Boulder in 1999 and began working with Renaissance Adventures in 2000. After a 10 year hiatus to start a family, she is back in the office working as the program and finance manager. A mother of two Waldorf schooled children, Pam loves the creative outlet and confidence building that Renaissance Adventures camps provide.